Assist the treating physician to determine whether or not the injured employee is physically capable of returning to his/her usual and customary occupation. Assist in returning the injured worker to a modified or alternate position once they are deemed to be permanent and stationary by a treating physician. Ensures that the modified/alternate position is within the medical restrictions imposed by the treating doctor. Determines whether the employee will be entitled to job displacement benefit services (voucher). It is Gainful’s mission to assist you with the compliance of ADA/FEHA job descriptions. Please do not forget this analysis can also be used for Workers’ Comp claims, to assist the treating physician to identify the injured workers’ physical capabilities for their immediate return to work. Gains control of the claim and increases the chance for a positive resolution. Retains the on-site experience of valuable, trained employees. Reduces the replacement and training costs for hiring new employees. Reduces the chance of a permanent disability. Increases awareness of safe work practices and injury prevention. Results in faster recoveries—both psychologically and physically. Creating Job Description Library will expedite medical status and reduce cost. Develop close communication with treating physicians. Gainful will assist employers with the opportunity to take advantage of the Transitional Return to Work Program. 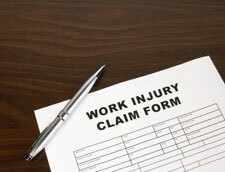 This program helps injured workers return to work as quickly and safely as possible. While an injured employee may need time to heal before returning to his or her original job level, he or she may be able to gradually build back up to that level—while working. This allows the employee to contribute and be productive at the work site, but remain safe during the recovery process. Gainful’s Return to Work Consultants (RTWC) work with the physician and the company to identify safe work tasks that place the injured worker at the highest level of productivity within physical limitations and capabilities. First step as part of the evaluation process, the RTWC will visit the employer and complete a comprehensive job description, which includes physical demands and essential functions. Gainful will also work with the employee’s physician to develop a plan to gradually progress the restricted employee to full duty. Gainful’s RTWC will conduct the face-to-face meeting/Return to Work Assessment for those employees with medical restrictions. In compliance with the new law SB-899 provides a financial incentive for employers who retain their injured employees in medically appropriate positions—and a disincentive for those who do not. Effective 1/01/05, L.C. § 4658 (d) (2) provides for an increase in PD payments of 15% to injured employees whose employers are unable or unwilling to provide medically appropriate work within 60 days of P&S. L.C. § 4658 (d) (3) allows for a decrease of 15% in PD payments to employers who offer medically appropriate work within 60 days of P&S.